PDF version of the infographic presented above. Since the spring of 2011, Coloradans of varying ages and stages—in communities large and small across the state—have been taking advantage of the opportunity to use 88 Public Computer Centers (PCCs), free of charge, individually during open access time as well as by taking computer classes. Located primarily in public libraries (or other public spaces in communities without libraries), the PCCs offer a variety of computer equipment and services based on community needs. Grant funding for the PCCs, totaling $3.3 million, was obtained in 2010 from the federal government’s Broadband Technology Opportunity Program (BTOP) and the Bill & Melinda Gates Foundation, as well as through matching and in-kind donations from the Colorado State Library, local libraries, and community organizations statewide. During the winter and spring of 2012, more than 7,300 adult users (18 years and older) of these BTOP PCCs were surveyed by the Library Research Service, a unit of the Colorado State Library, to understand who is benefiting—and in what ways—from open access to PCC computers as well as computer classes. The findings indicate that respondents experienced a variety of outcomes as a result of their use of the PCCs. AskColorado (www.askcolorado.org), a statewide virtual reference service, was launched on September 2, 2003. Colorado libraries joined the cooperative as members to provide 24/7 chat reference service to Coloradans (see Figure 1 for a timeline of the service). Early iterations of the service included queues for K-12 students, general audiences, academic patrons, and Spanish speakers. Over time, the cooperative weeded-out non-essential (and/or low use) services and honed in on three essential and high-use entry-points for patrons: K-12, General, and Academic. These entry points remain today. In 2008 the cooperative’s academic libraries voted to accept academic members from outside the state of Colorado; and in 2010, the academic queue was re-branded as AskAcademic and a separate website was launched (www.askacademic.org). Though AskColorado as a whole was previously evaluated by the Library Research Service (LRS) in 2004, 2005, 2006, and 2008, 2011 marks the first year LRS has evaluated AskAcademic as a separate entry point. 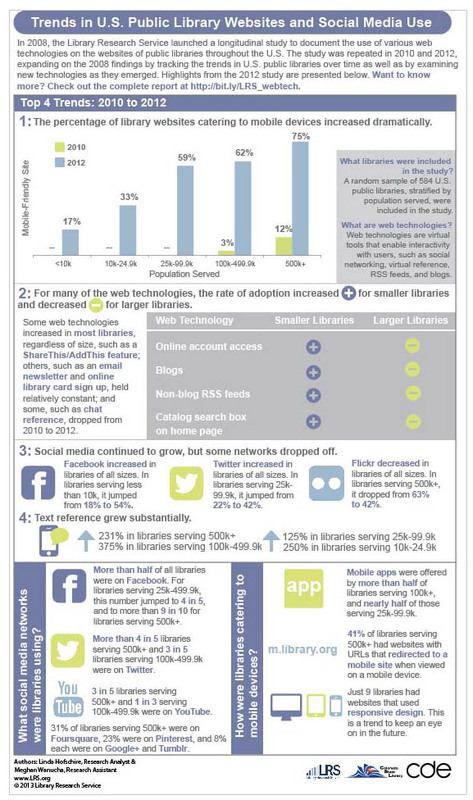 From April 4 to October 31, 2011, a pop-up survey administered by the Library Research Service (LRS) was presented to library patrons using the AskColorado and AskAcademic virtual reference services (the survey instruments are in Appendices A and B). The purpose of the survey was to gauge patron satisfaction and outcomes. Demographic questions, tailored to the specific survey populations (e.g., county of residence for AskColorado users, institutional affiliation for AskAcademic users, etc. ), were also asked. During the survey administration period, more than 15,000 library patrons used the services, 13,299 via AskColorado and 1,833 via AskAcademic. Of those, 1,091 AskColorado users (8%) and 206 AskAcademic users (11%) completed the surveys. In addition to responding to the close-ended questions, 405 AskColorado users and 68 AskAcademic users provided open-ended text comments on their perceptions of the quality and helpfulness of the services (see Appendices C and D). This report analyzes the results of the two surveys separately to account for differences between the services and their respective survey instruments. Changes to the services over time (see Figure 1), as well as to the survey questions and administration procedures, prevent longitudinal analysis; however, general comparisons of data gathered from 2004 to the present are discussed in this report. In 2008, LRS conducted the 60-Second Survey What is the Value of an MLIS to You?. It was inspired by heated discussions on the Colorado library listserv Libnet about the value of the MLIS degree. The passion, urgency, and breadth of opinions expressed by Colorado librarians on the subject prompted LRS to provide a forum to systematically collect these opinions and reach out beyond Colorado. LRS administered this survey for a second time in May 2011 to determine how the recession and its ongoing impact on the job market have affected peoples’ opinions about the degree since 2008. A total of 2,487 people responded to the 2011 survey, which asked eight questions about MLIS education, employment, and feelings about the degree (see the Appendix for the complete survey instrument). Most importantly, the survey asked respondents if they felt that the MLIS was worth the time and money they invested, and if they would recommend it to someone else today. More than half of the respondents backed up their survey responses with thoughtful and candid comments about MLIS programs and the library profession. This report presents the results of the survey, with an in-depth analysis of those comments. Additionally, it compares this analysis with the comment analysis from the 2008 survey, revealing some noteworthy trends regarding respondents’ attitudes toward the MLIS degree over time. In the September 2011 issue of School Library Journal (SLJ), we presented a national analysis of National Center for Education Statistics (NCES) state-level data on librarian staffing and fourth-grade reading scores from the National Assessment of Educational Progress (NAEP). The results from this study indicated that states that gained school librarians from 2004-05 to 2008-09 showed greater increases in 4th grade reading scores than did states that lost librarians during this time period. As promised, we now move back to the Colorado context to examine the relationships between changes in school library staffing and changes in Colorado Student Assessment Program (CSAP) reading scores over time.